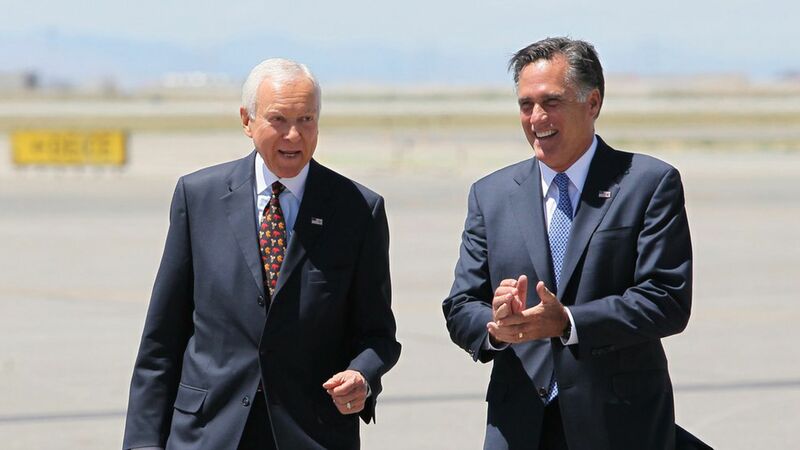 Mitt Romney plans to jump into Utah's 2018 Senate race if Sen. Orrin Hatch decides to retire, according to a report from UtahPolicy.com. Neither Romney nor Hatch responded to requests for comment from Axios. Utah's senior senator will be 84 on Election Day next year. He's said that he'd run again provided that both he and his wife remained in good health. UtahPolicy.com says that Hatch plans to make that decision in December. Another factor: There's no news yet on whether Never Trumper Evan McMullin might jump in. He has remained an active political voice since his Utah-focused 2016 presidential run. Why it matters: The timeline for Hatch's decision means that other candidates might not be able to assemble the resources needed to run. That wouldn't be a problem for Romney, who could easily put together a campaign apparatus on short notice.